Iwoye-Ilogbo, a rural community located in Ado Odo/Ota local government area in Ogun state, is actually less than a 45-minute drive from Lagos State, Nigeria’s financial hub. The Ilogbo community has only one educational facility that serves at least six other communities around it. The school has two classrooms and according to the school’s management, 429 pupils sit in the two classrooms with exposed tin roofs. 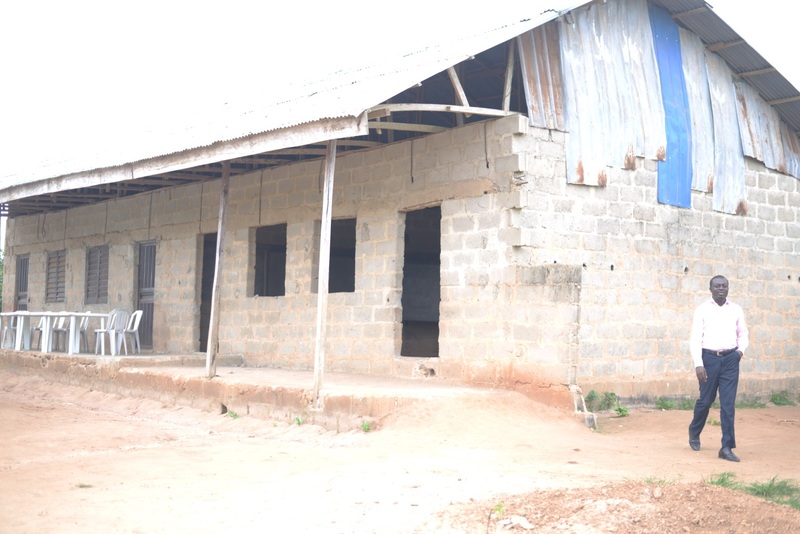 This uncompleted building, donated by the community, was without a ceiling. The classrooms were not plastered and had no suitable chairs and tables for pupils to learn. Each pupil comes to school with his or her desk from home and returns with it. Pupils without desks stay outside and listen to the lesson through the window, which is far better than those sitting inside the overcrowded classrooms. The school has no administrative building, no staff room or fence. The community had written to the government, asking it to come to their aid but had failed to obtain any support from them. In 2014, BudgIT developed Tracka to enable people track projects listed in the budget, in order to ensure that funds allocated for the execution of these projects are properly utilized. 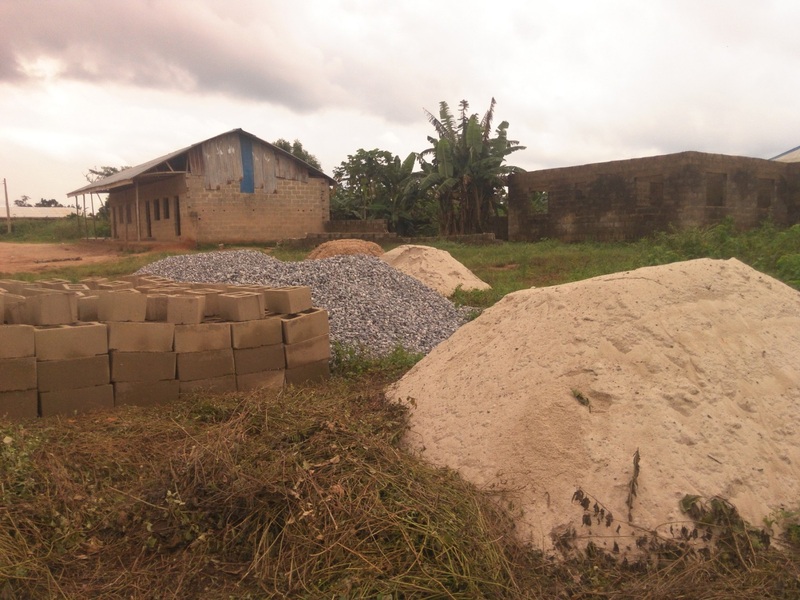 It was towards the fulfillment of this goal that the Tracka team of BudgIT visited the Iwoye-Ilogbo community on the 4thof August, 2014 in order to follow up on the status of the “Construction of 3 Classroom Blocks at Community Primary School, Iwoye-Ilogbo, Ilogbo, Ado Odo/Otta LGA, Ogun West Senatorial District, Ogun State,” as stated in the budget. The school was listed amongst other projects to be executed in Ogun State’s FG Constituency Projects in 2014 and budgeted under the MDGs programme for the sum of 20 million Naira. The Ilogbo people remained in the dark, unaware that their request for a school had been granted, until the BudgIT team came to track the school project on August 4, 2014 and a community town hall meeting was scheduled for 13th of August, 2014. Mr. Oluseun Onigbinde, Lead Partner of BudgIT, assured them that the organization has no political affiliation, and was only concerned with ensuring that the project provided for in the 2014 budget is finally executed. 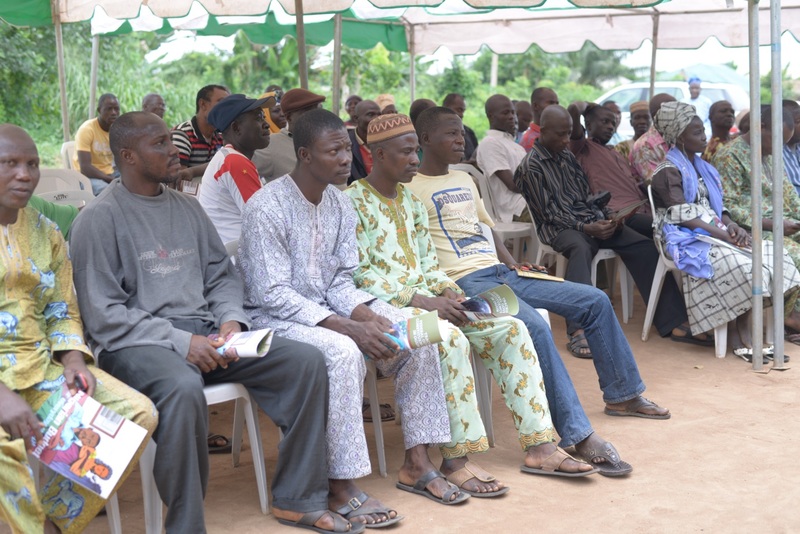 After discussing with residents of the Ilogbo, letters were addressed to the Ministry of Special Duties, the Ministry of Education & Presidency (MDGs) and representatives of Ilogbo community in the National Assembly—Senator Akin Babalola Kamar Odunsi and Hon. Ogunlola Babatunde Olabode. These were drafted and duly signed by the community’s chairman and secretary. The Tracka team then placed weekly calls to Senator Kamar Odunsi who, through his Personal Assistant, assured the team that work would begin soon. On the 2nd of October 2014, we received a call from the community chairman, Elder G. Oke Taiwo on the latest developments in Ilogbo. He said surveyors and bricklayers came to the school with sand, gravel, concrete blocks and that foundation work for the classroom site had begun. The Tracka team then visited the school site on the 7th of October 2014 to document the progress and note further feedback from the community. The work to continuously track this project till completion and others in six selected States across Nigeria continues. 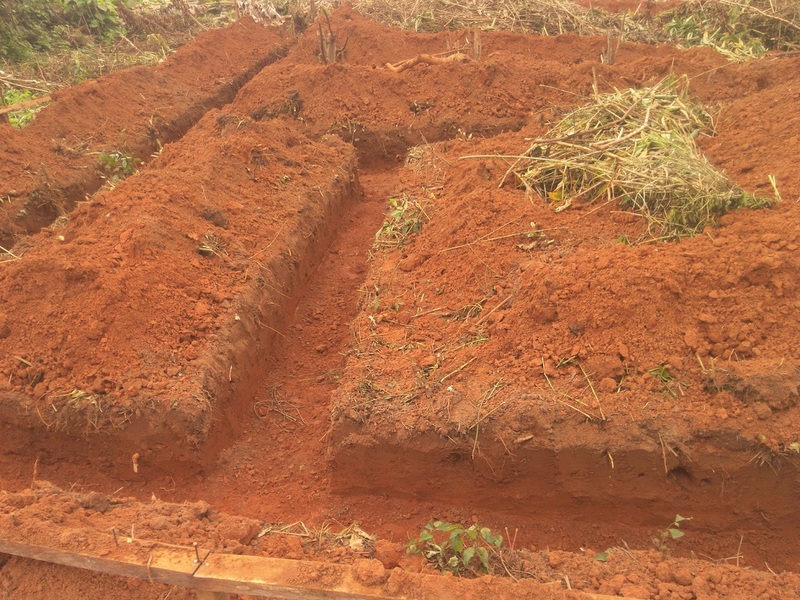 The foundation of the classrooms at Ilogbo community.